New Delhi: No-frills carrier SpiceJet, which is looking to expand its fleet, has taken delivery of another Airbus plane on wet lease basis. The first Airbus aircraft, wet-leased from Czech company CSA, was inducted into the fleet by SpiceJet in June. 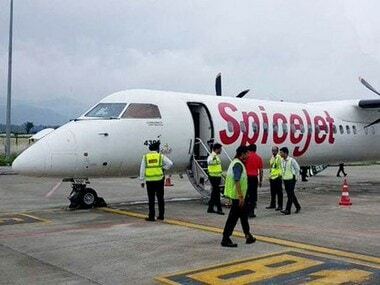 The second Airbus A319 on wet lease has arrived, SpiceJet's chief operating officer (COO) Sanjiv Kapoor today tweeted. These planes are being taken on wet lease for a period of three months and would be used in the metro routes. "... our second wet-lease Airbus A319, arrived this morning. Will be seen on some AMD (Ahmedabad), BOM (Mumbai), DEL (Delhi), CCU (Kolkata), and GAU (Guwahati) flights," Kapoor said in the tweet. Under wet lease, the lessor provides crew -- both cabin and flight -- along with the plane apart from taking care of insurance and maintenance costs. In April this year, the no-frills airline, had dry leased three Boeing 737s from Czech-based firm TVS for a three-month period. In dry lease, only the plane is leased out.